John's Fire Protection, LLC. will soon be able to process orders on-line. Until our Web site is finished, you may contact us via e-mail at Support@johnsfire.com or by phone at (920) 674-4270, with your information requests. 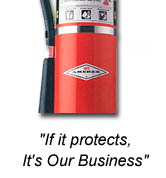 Like our slogan states, "If it protects, it's our business." We look forward to protecting your business soon. 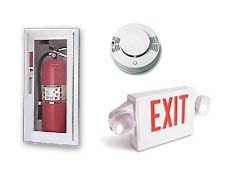 For Carbon Monoxide Alarms, Smoke Alarms, and Fire Extinguishers visit WIAlarmCenter.com. 2009 © John's Fire Protection, LLC - All rights reserved Web design by Headquarters.Com Inc.